In this episode, we take an in-depth look at the new RODECaster Pro recorder, mixer, and audio interface designed specifically for podcasting and recording panel discussions. I have to confess that I was originally not that enthused about the RODECaster Pro, but now that I’ve use it a for a couple of weeks, WOW! I’m surprised by the quality of sound that it produces and find the effects more effective than I expected. It is much easier to use than most mixers for those that aren’t audio engineers making this a great choice for those less interested in spending lots of time learning how to get better sound for their podcasts. And even for audio nerds like me...well, I'm buying this which was originally just on loan for the review! Audio Technica AT2005 Dynamic Microphone - I recorded this episode with this microphone. 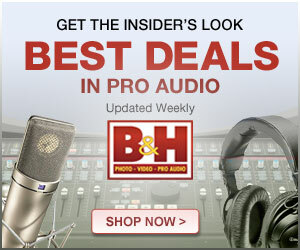 Amazing mic for its price!